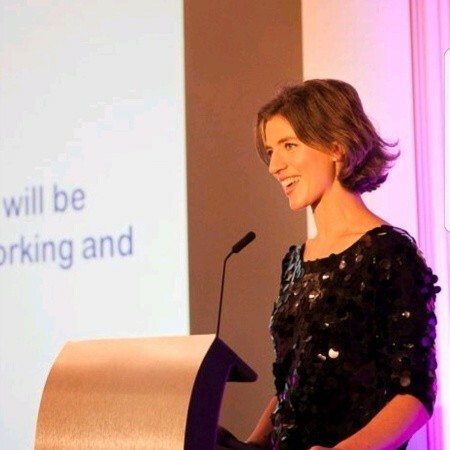 Ask the fleet expert: Sara Sloman, Principal Officer, Go Ultra Low West – North Somerset Council. I have always devoted my learning and career to sustainable economic development. I am inspired by change and want to see region thriving whilst recognising that it isn’t possible for that to happen without putting the needs of the locality first. What is Go Ultra Low West (GULW)? Go Ultra Low West is a £7m project in the West of England to increase the uptake of electric vehicles. The project aims to provide quality vehicle charging infrastructure and to provide an opportunity for the public to explore electric vehicles for themselves. How long have you worked on the project? Since the start – the project began in November 2016 and its expected completion is March 2021. What is your favourite thing about working for Go Ultra Low West? Collaborative working, where many hands make light work and the opportunity to use each other as a sounding board. Working with project management teams ensures timescales are given attention and control. We are building something truly remarkable and we are very proud of the project. Can you give me an example of the types of things you are involved in at Go Ultra Low West? GULW will be setting up four Demonstration Charging Hubs in the region, showing how EV charging can become part of your weekly or daily routine. We’ve also been busy expanding the Public Charging Network – we know that range anxiety has now been taken over with charging anxiety – people worrying that the charging points won’t be working when they get there. We also have EV Car clubs and provide demonstration vehicles – so people can put the vehicles through their paces before making a commitment to buy. We know that these vehicles are more expensive than traditional fuels which is why we help out with applications for business brants for charging infrastructure at work, as well as provide general policy guidance and advice. If you could drive any electric vehicle (EV) what would it be? I have tried nearly every electric vehicle out there – and I can’t wait for the fully electric Volvo XC40. The Kia eNiro will also be one to watch! What would be your advice to businesses thinking about going ultra low? Speak to people who have made the switch – we have a whole raft of testimonials from light vehicle fleet operators – such as the NHS and University of Bristol – to show EV Vans can have a place and are not just good PR! I would also say even if you are not considering electric commercial vehicles yet, but perhaps in the next 2-3 years; get the infrastructure ready, do your research, find out lead times – it’ll put you in good shape when the time comes to place the orders for your electric fleet. And one more thing… it goes without saying that in times of austerity you need to make the most of the government grants before they go! Sara Sloman is the winner of the 2018 Green Fleet EV Champion Award and is one of Green Fleet’s Top 100 Most Influential People.